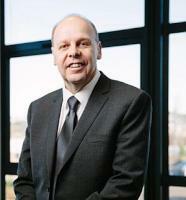 M² Subsea has announced the appointment of Stuart Bannerman as the company’s new chief financial officer. Bannerman brings more than 30 years of executive management experience to the fledging subsea business, having worked with several high growth oil and gas firms across the globe. In his previous role as chief operating officer for BW Offshore, he played an instrumental part in helping the company achieve record safety and financial performance in 2013-14. He also led the development and implementation of key initiatives which led to the successful and efficient operation of the firm’s fleet of 14 FPSOs. Previous to this, he held the chief financial officer position at Remedial Offshore and regional CFO position at Technip. The company was set up in early 2016, and following a significant investment, acquired a fleet of assets, providing the foundation on which to build a global business that is entirely focused on delivering OPEX cost-savings without compromising on safety or quality.